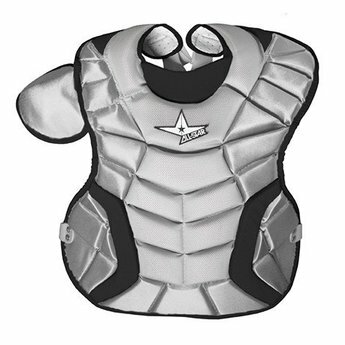 The System Seven™ youth chest protectors are made with the same materials as our professional adult chest protectors. 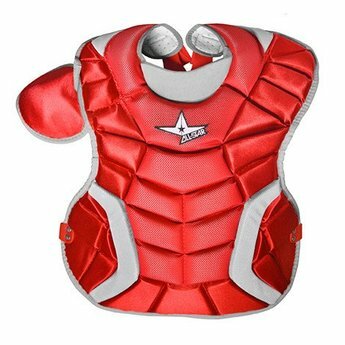 The sleek U-Bar design squares up the body and helps present a flat surface for blocking balls. Shoulders wrap up and over for complete over the shoulder protection. Sternum, collar bone, and throat PE plates. Large ventilation holes on backside of chest protector. 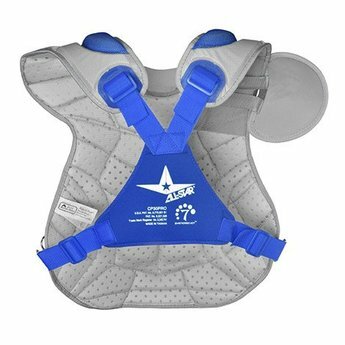 Four point adjustable DeltaFlex™ Harness.